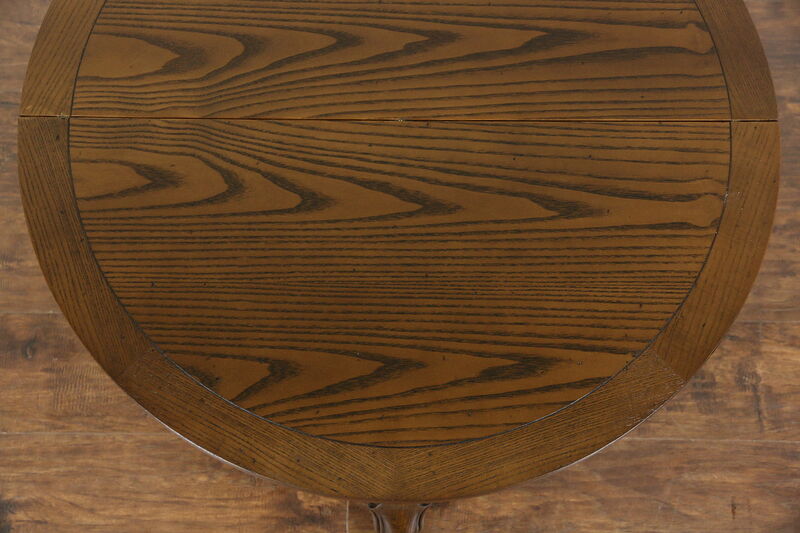 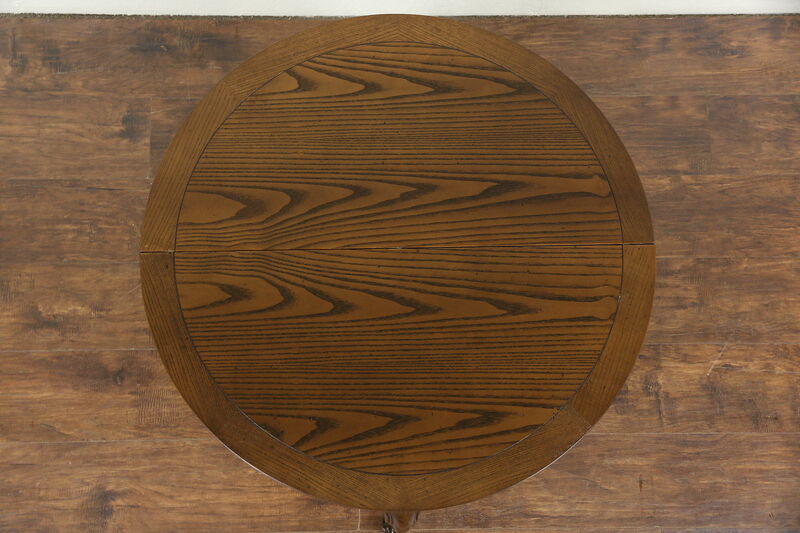 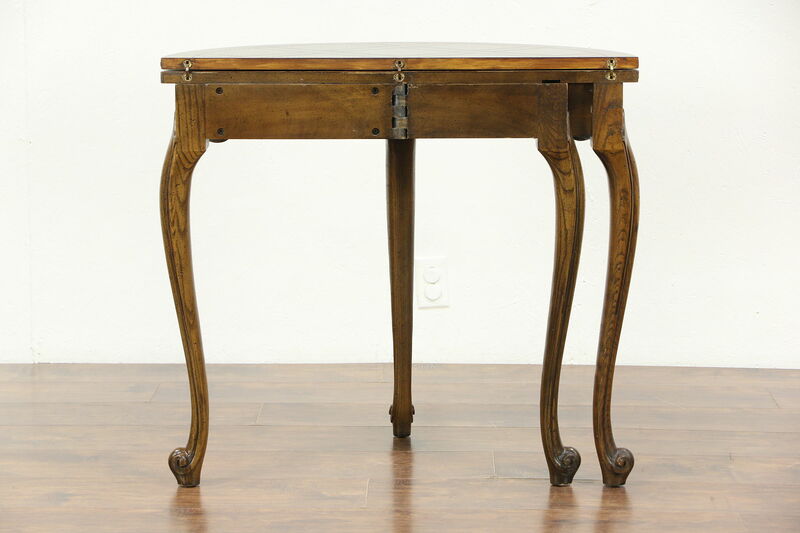 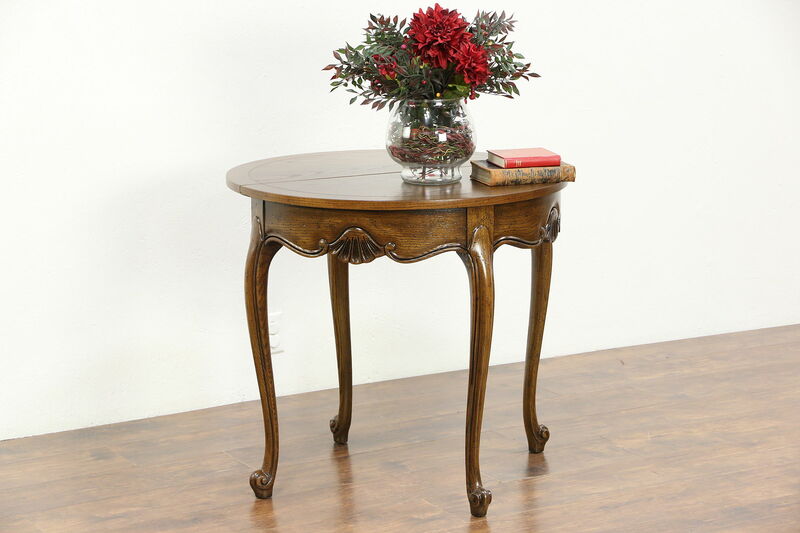 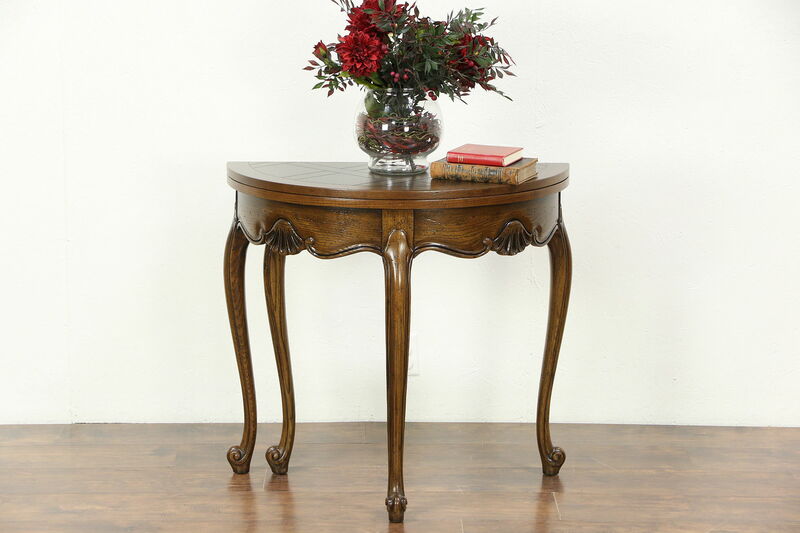 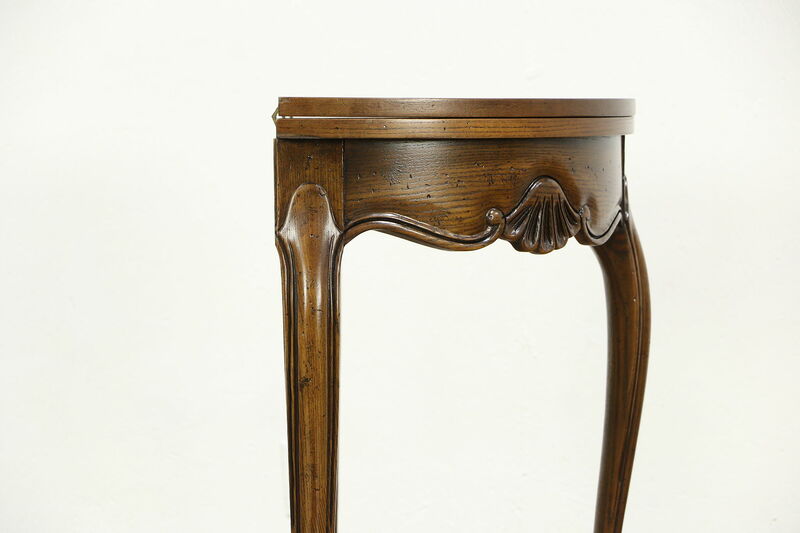 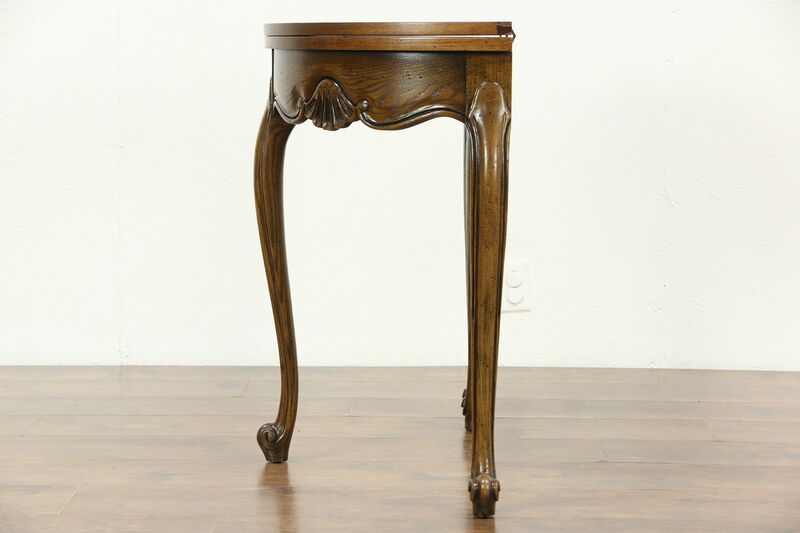 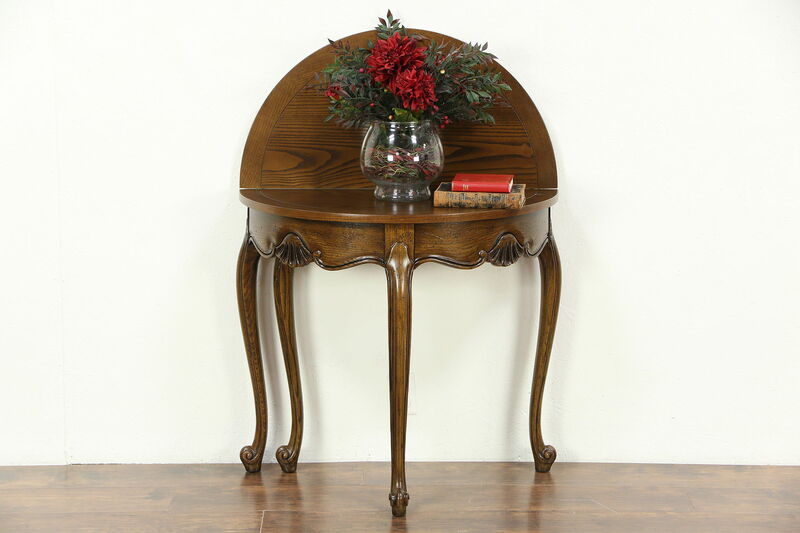 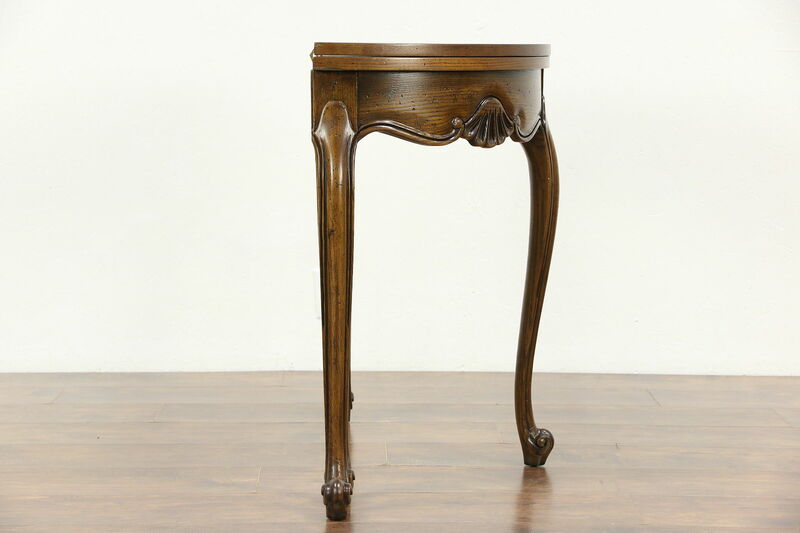 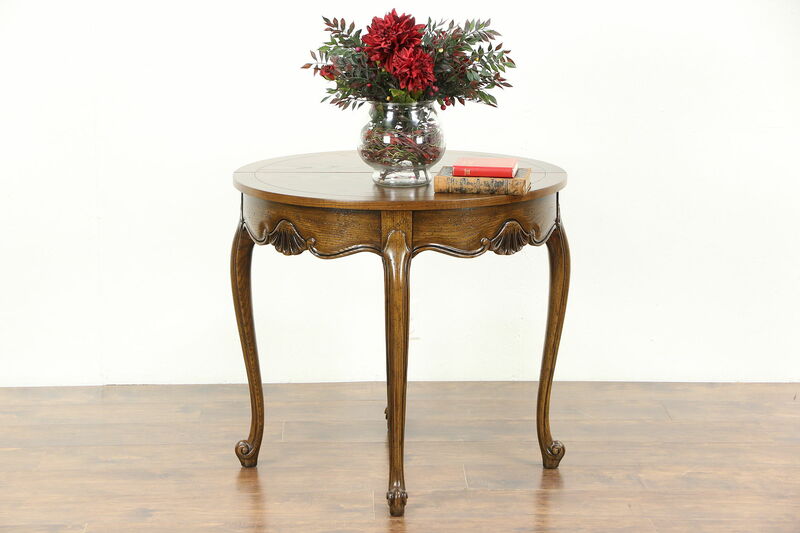 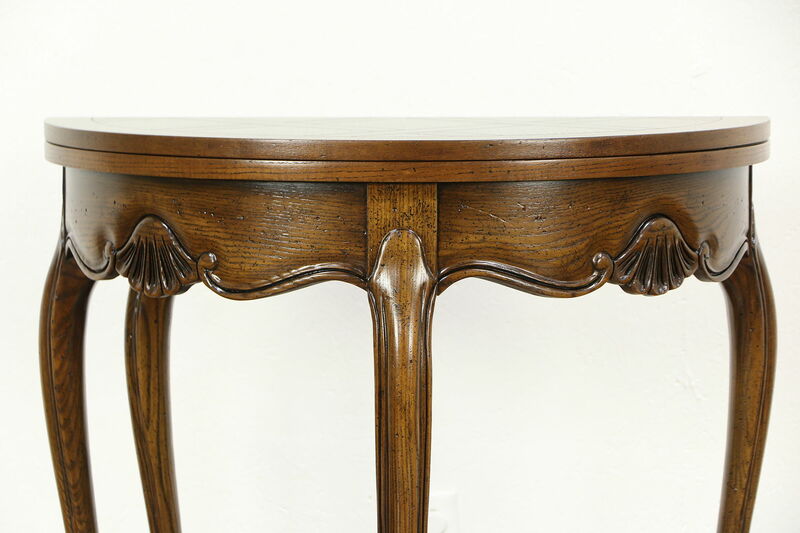 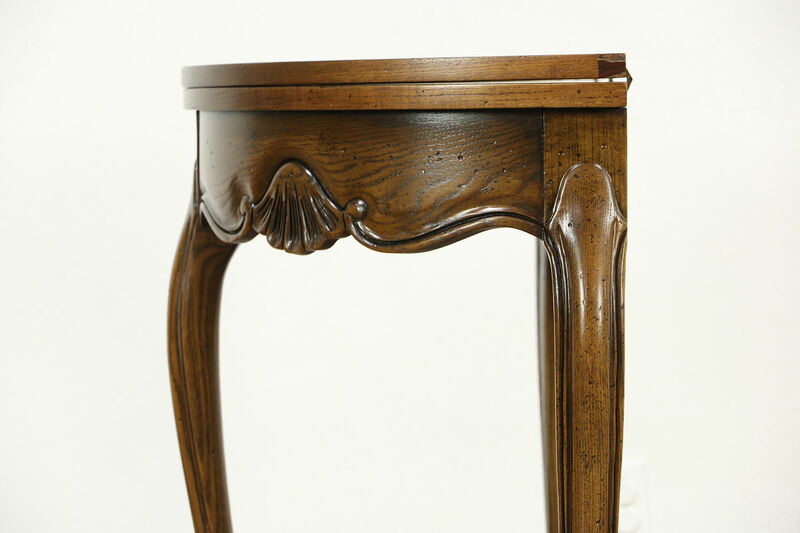 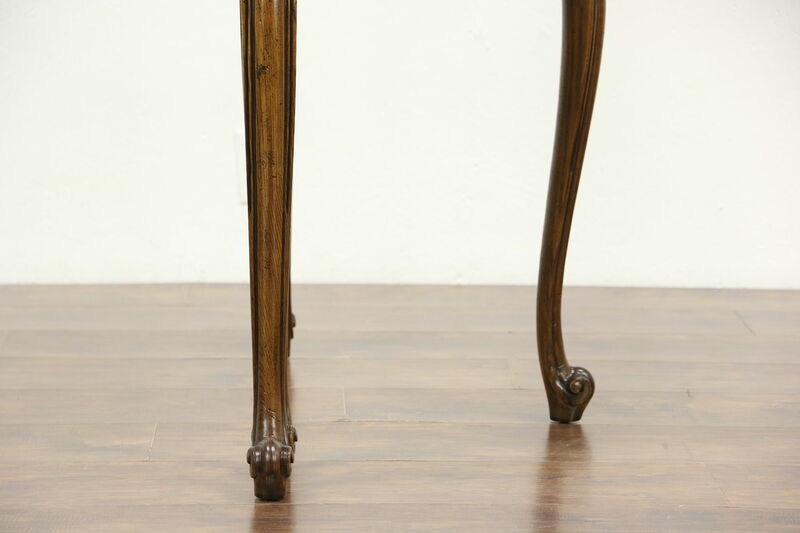 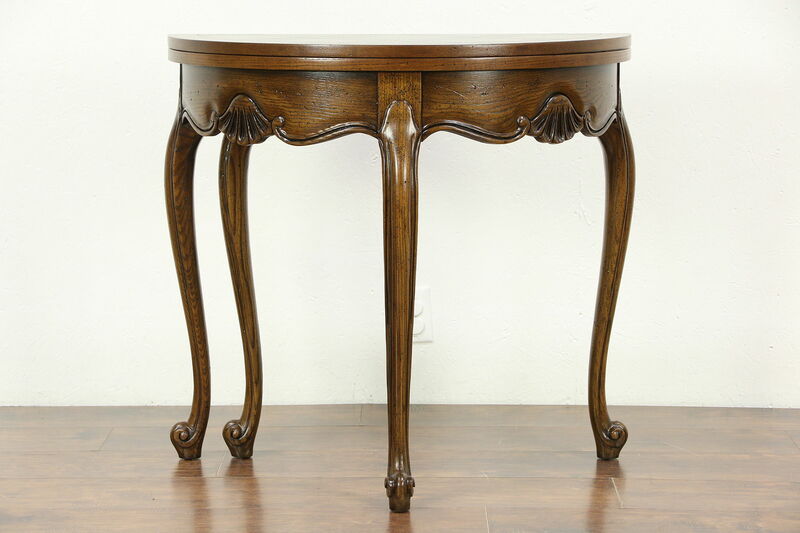 An oak half-round or demilune hall console table flips open to form a round game table, and was signed by premier maker, "Baker," about 60 years ago. 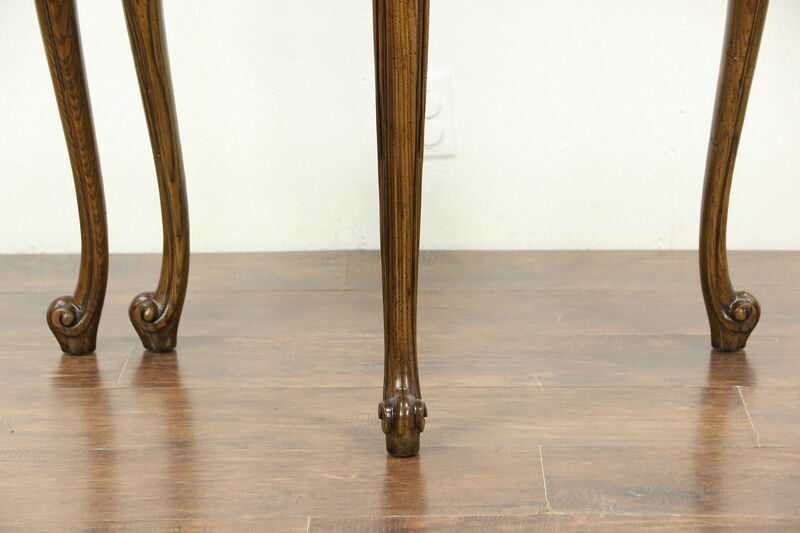 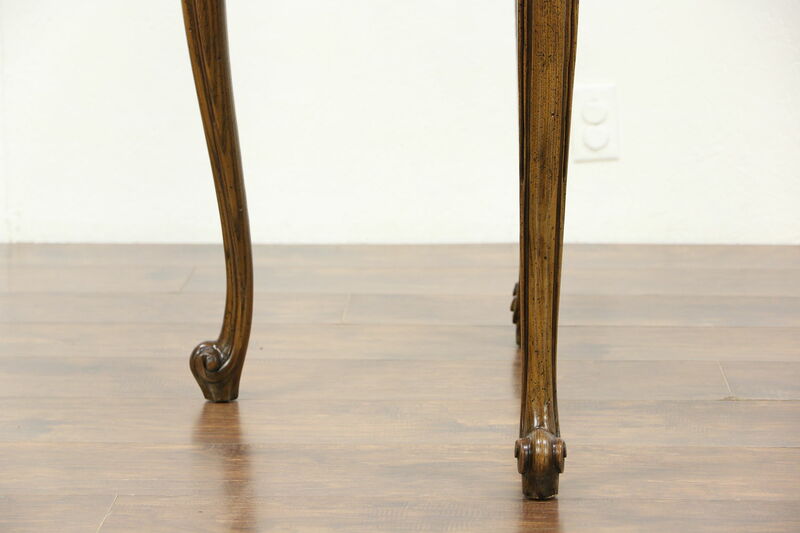 The renewed finish is in excellent condition, lightly distressed to look antique, on this American made vintage furniture. 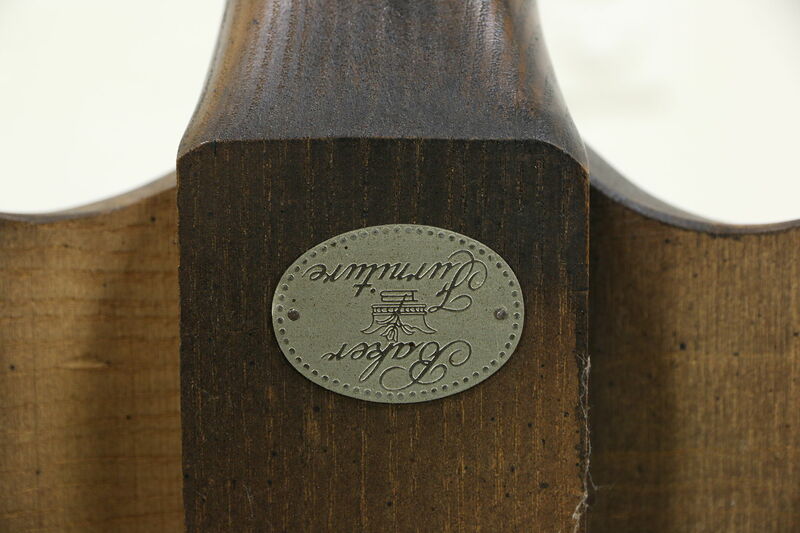 A gateleg on the back swings out on a carved wooden hinge when opened. 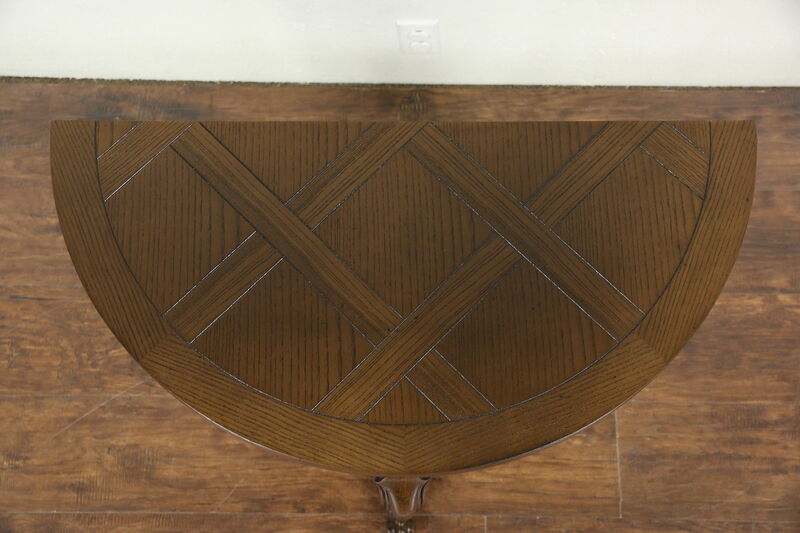 Measurements in console position are 33" wide, 17" deep and 30" tall, open size is 33" diameter. 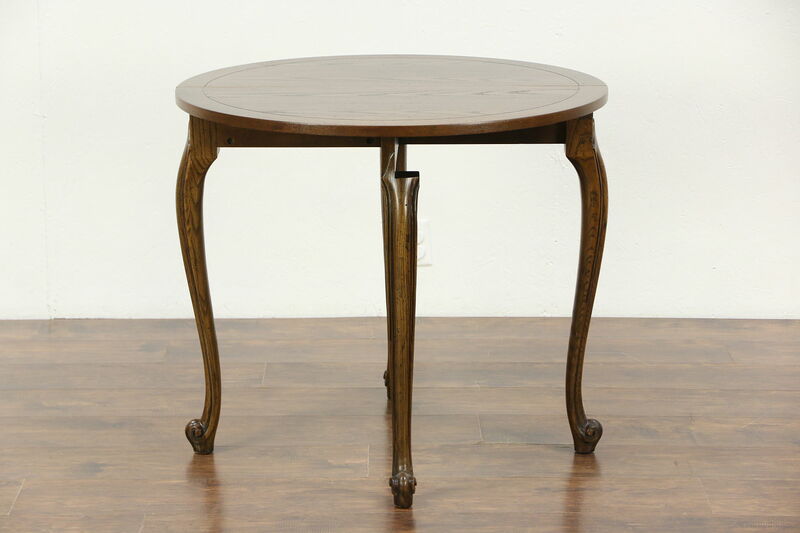 Due to the cost of shipping we recommend store pick up or adding to an additional order. 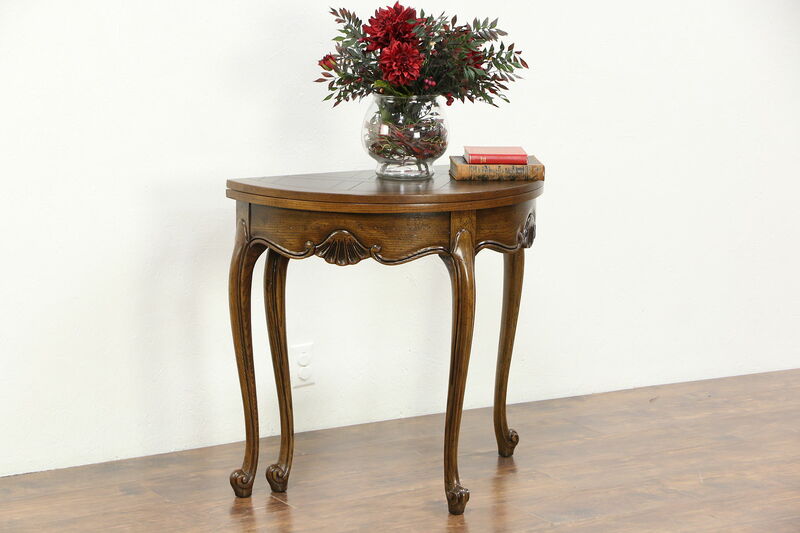 We are happy to request independent shipping quotes, please contact us with your zip code.